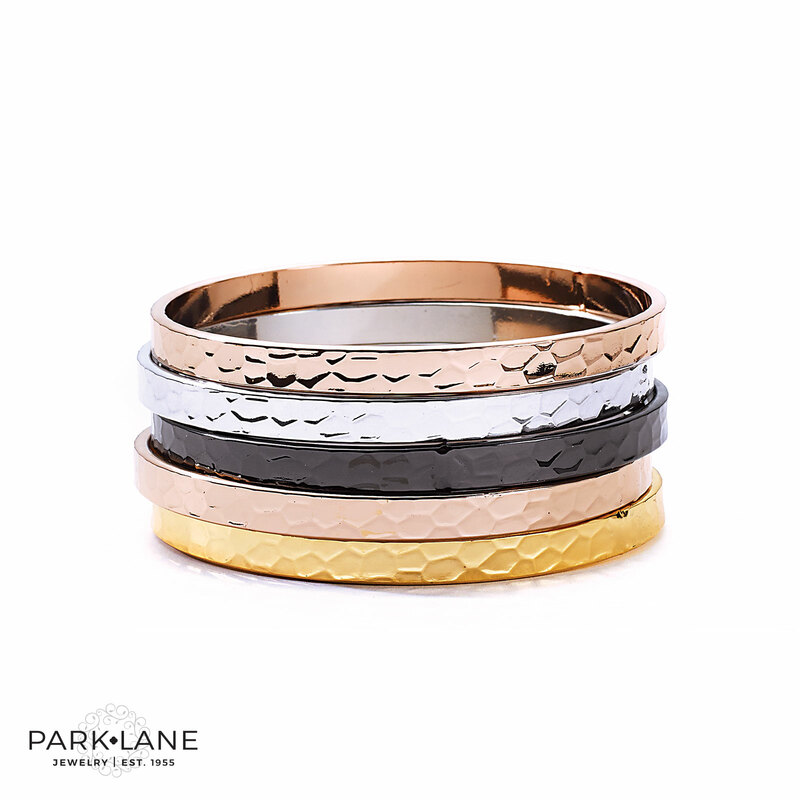 The soft, fluid movement of metal chain jewelry is always a hit on the fashion runways. 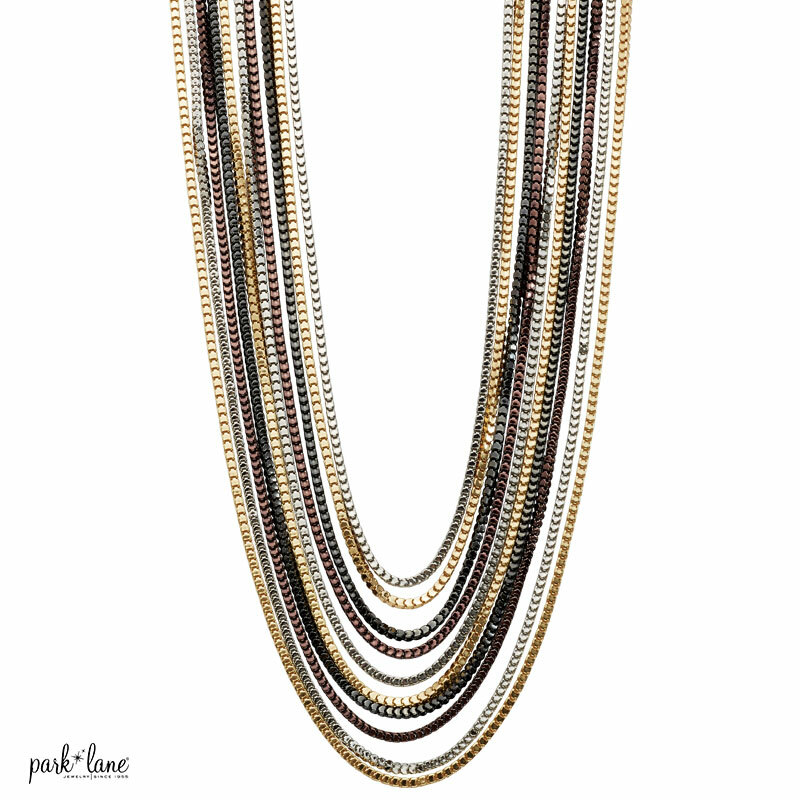 Park Lane combines the rich tones of silver, gold, hematite and bronze into one serpentine, box link necklace. 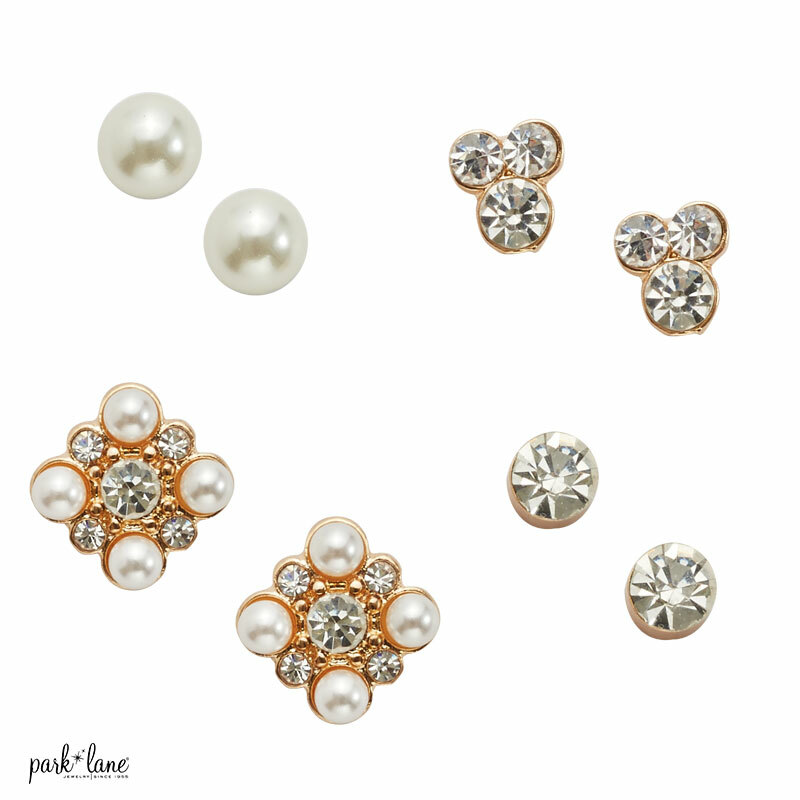 Wear any color metal earrings and bracelets to complete your look.